A number of special guests during the past semester brought new ideas and enthusiasm to our department. Their generous donations of time and talents created an exciting semester. We celebrated our 2014 LA and RCP Alumni Honorees December 3-5. Alumni honorees are designated by the faculty ten years after their graduation in honor of their accomplishments. The 2014 RCP Alumni Honoree is Benedict James Ehreth. Benedict is an administrative transportation planner for the North Dakota Department of Transportation and a member of the American Institute of Certified Planners, American Planning Association and the North Dakota Planning Association. He is a member of the Bis-Man board of directors and was selected as one of the North Dakota Business Watch magazine’s Top 40 under 40 young professionals in 2010. During the visit Ben and Jason visited with the graduating class and students preparing for internships about their career trajectories. They shared valuable insights for those preparing for practice. They also made presentations to the Survey of the Design Professions class, along with the other two APDesign Alumni Honorees, to help freshmen understand more about our professions. And they enjoyed lunch with Student Planning Association and Student Chapter of the American Society of Landscape Architects chapter officers, toured the Chang Gallery and met with current faculty. Congratulations to our two honorees and thank you for visiting us! Alumni and friends of the department serving on the LARCP Advisory Council help us assess our progress and plan for growth and development. They helped us initiate work on the LARCP 2025 Strategic Action and Alignment Plan and have played an important role as we implement the plan. During the November 7, 2014 council meeting, the group developed their own Engagement Plan to guide their interaction with the department over the next five years. We welcomed new LARCP Advisory Council member Greg Jolley. 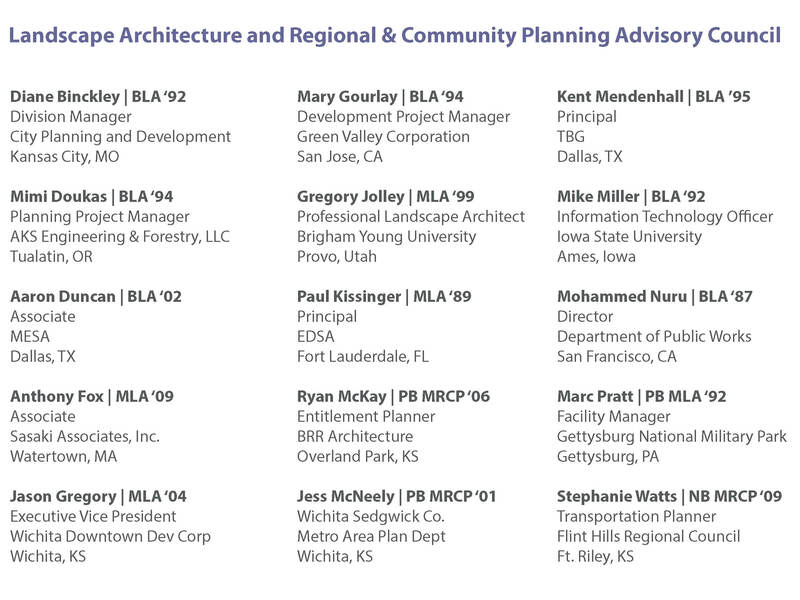 Thank you to the fall 2014 LARCP Advisory Council! The Planning Accreditation Board Site Visit Team, charged with assessing the Regional and Community Planning program’s readiness for accreditation, was on campus October 19-22. Preparations for the visit provided us with an opportunity to reflect on our accomplishments over the past six years and evaluate how we can continue to improve the program. During the site visit, team members conducted meetings with current students, faculty, staff, administrators and alumni. The Association of Collegiate Schools of Planning first recognized the K-State MRCP program in 1961. The program was officially accredited in 1985, during the first round of accreditations considered by the Planning Accreditation Board. Continued accreditation by the PAB is recognition that the academic and administrative programs and processes at K-State are aligned with the university mission, and that they meet certain quality standards. There are currently 88 programs that are accredited in North America. Accreditation demonstrates the program’s commitment and engagement in continuous review and improvement of its quality that it meets nationally endorsed standards for the profession, and that it is accountable for achieving what it sets out to do. PAB will provide their final assessment of our program’s accreditation status following the board meeting at the annual national American Planning Association conference in Seattle, WA in April 2015. The LARCP Department hosted the 10th annual national Xtreme LA Challenge October 7-9. The department was honored to be invited to join Landscape Forms and the Landscape Architecture Foundation in co-sponsoring the annual event that gathers a select group of young designers and students together for an intense two-day design charrette. 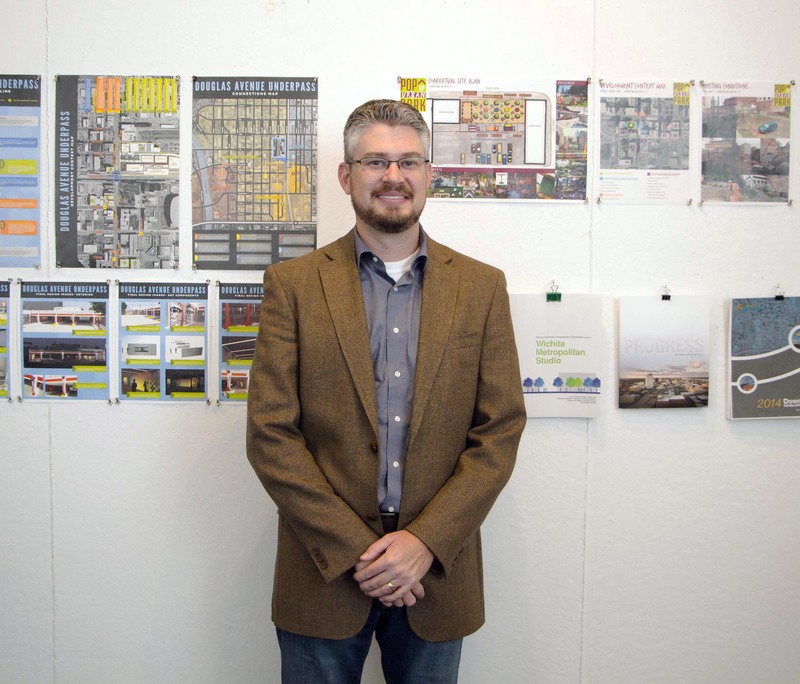 Twelve fifth-year APDesign students from landscape architecture, architecture, planning, interior architecture & product design were selected to participate, along with 20 professionals from around the United States and Canada. This professional development program provides exposure and experience that benefit both participants and the firms in which they work. Young professionals were mentored by distinguished designers and, in turn, had the opportunity to mentor promising students preparing to enter the field. Participants were asked to create socially, environmentally and economically sustainable solutions for a more intensely and densely developed Manhattan. Provided with background information and tours and guided by One Planet principles of sustainability, the group participated in a two-day intense design charrette to look at future development of Manhattan. Distinguished team leaders Peter Lindsay Schaudt from Hoerr Schaudt Landscape Architects and Shane Coen from Coen + Partners organized the group to focus on six opportunities for Manhattan’s future development. Focus areas included transportation, expanded access to natural resources, innovative infrastructure, flood plain restoration, engaging the waterfront and connectivity. 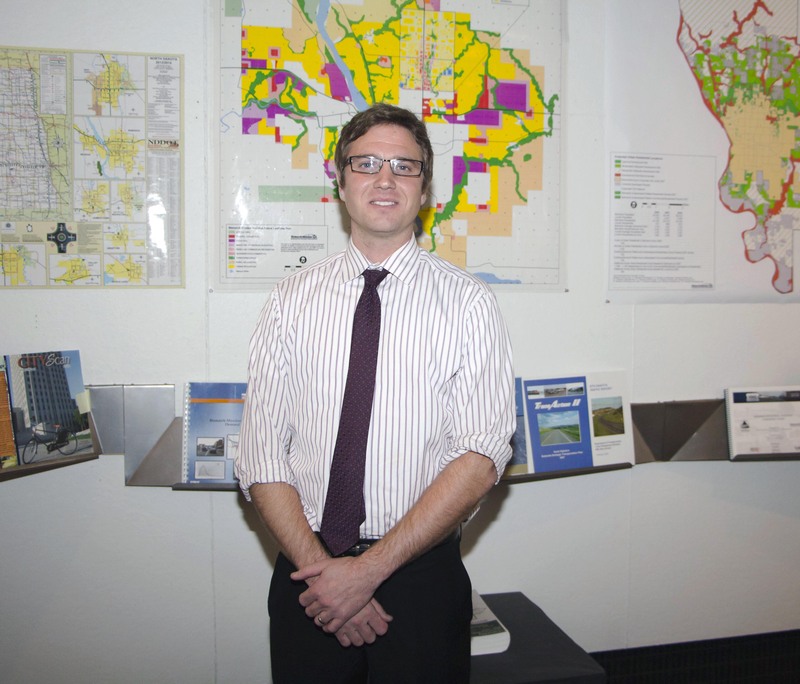 At the conclusion of the program, the six teams presented a final proposal titled “Live Where you Live: Bringing the Flint Hills In” to an audience of community decision makers. The presentation can be viewed here. 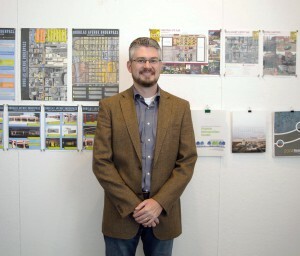 Joe Giangrandi, LandDesign, Inc. – Washington, D.C.